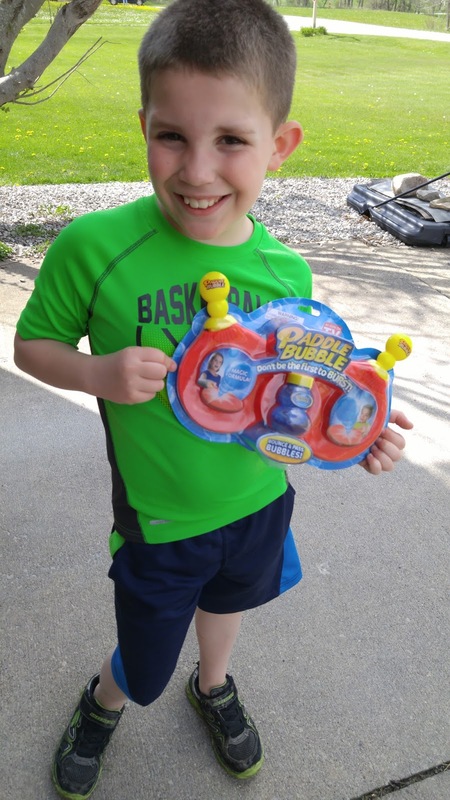 TPF Toys injects a new feverish joy to playing with bubbles with Paddle Bubble, a fun game for kids of all ages. With bubbles blown and Paddle Bubble in hand, players vie for bubble brilliance as they try and keep suds from popping! Whether testing skills solo by bopping bubbles up-and-down, or a lofting in a head-to-head match against a friend, bubble play has never been more fun. Packaged complete with bubble solution and two paddles Paddle Bubble will be available just in time for National Bubble Week for summer. 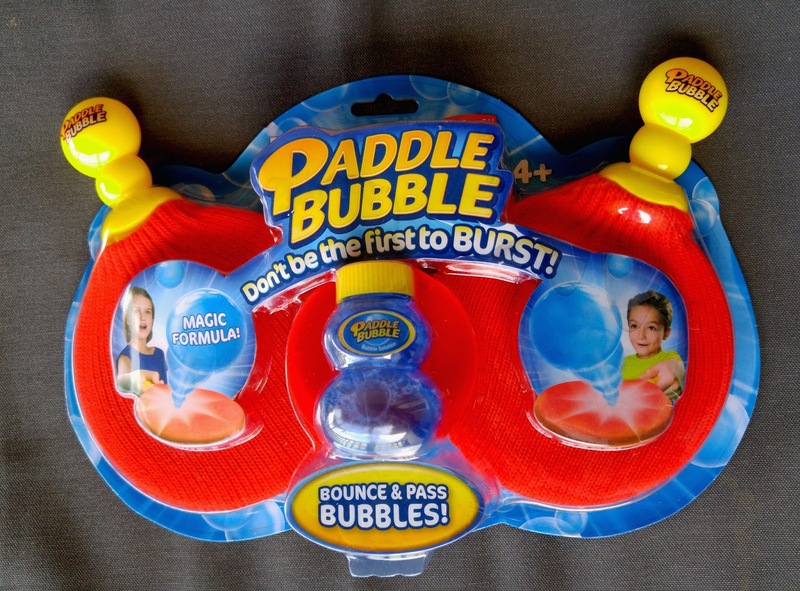 Paddle Bubbles will be available for a suggested retail price of $9.99. This is the incredible new bubble game where you magically bounce bubbles from paddle to paddle. Just this weekend, my son and I were playing with the classic Velcro paddle balls and then we had to try out the Paddle Bubbles. It is just as fun as the classic game, well maybe even more fun! It is a great summer game for kids and I foresee tons of giggles and competition on how many bounces they can get! It features a revolutionary "TOP SECRET" Bubble solution that allows the bubbles to bounce and not pop as fast as normal bubbles! The kits contains 2 Magic Paddles, 2 Fl. oz. Paddle Bubble Solution, Magic Bubble Blower, Bubble Solution Tray & Instructions. TPF Toys is an Australian-based toy company with a focus on fun that develops, manufactures and markets a diverse portfolio of innovative toys sold in more than 45 countries worldwide. Founded in 2007 and with offices in Melbourne, Sydney, New Zealand, Hong Kong, China, Vietnam, and Los Angeles, TPF Toys has over 200 employees worldwide and relationships with top tier retailers and entertainment companies including Toys ‘R’ Us, Disney, Nickelodeon and 20th Century Fox. TPF Toys brand portfolio includes SplashlingsTM, Peppy PupsTM, Cut It OutTM, Paddle BubbleTM and Mystery Eggs. Disclosure: I received the above mentioned product for free in exchange for posting. I only recommend products or services I use personally and believe will be good for my readers. I am disclosing this in accordance with the Federal Trade Commission’s 16 CFR, Part 255: “Guides Concerning the Use of Endorsements and Testimonials in Advertising.